If it's a beautiful day, why not take these babies out and about! 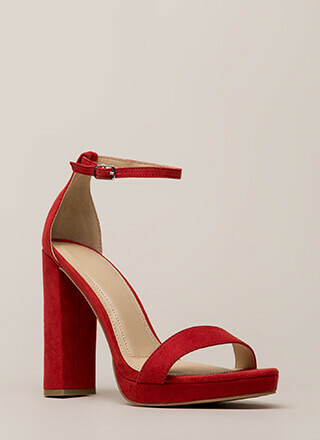 Open-toe vegan leather heels feature a paneled, cut-out upper with a latticed laser-cut design; a skinny ankle strap with an adjustable buckle; and a one-piece platform and chunky heel with a retro-inspired silhouette. Shoes are finished with an exposed heel and a textured sole.